Few things will rouse a man from his bed in the hours before dawn to endure blistering cold, rain, sleet, and the occasional snow like the inception of the Alabama deer season. Wives, say goodbye to your husbands until January 31, 2014. From now on your hubby will be spending time in the woods trying to harvest the perfect buck. 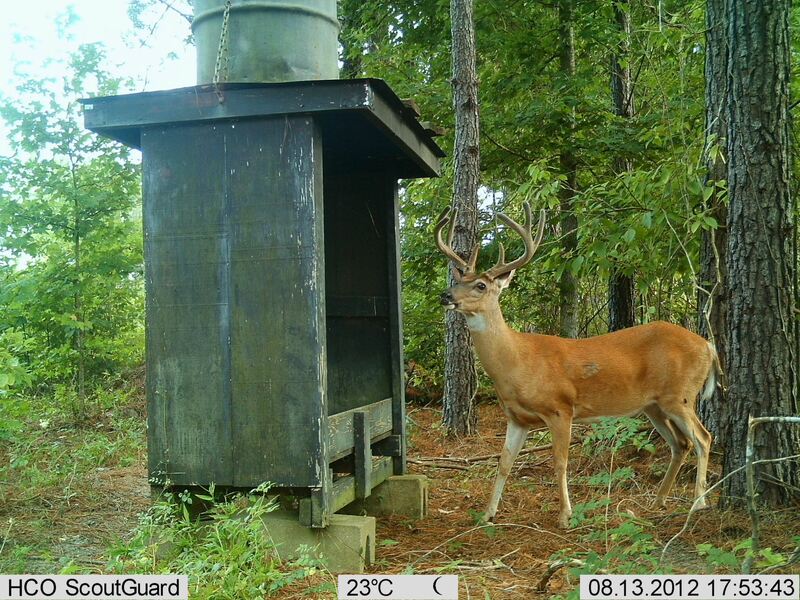 Yes, the 2013-2014 deer season has started, and this season looks like it might shape up to be one of the best seasons to date in light of a new regulation regarding supplemental feeding areas. The new regulation allows for supplemental deer feeding areas on private lands during season “located beyond 100 yards from the hunter and not within the line of sight of the hunter.” The state previously allowed supplemental feeding areas on private lands during season, but these areas could not be hunted. The problem with this is the inherent vagueness of the word “area.” The state went so far as to acknowledge this vagueness in the law. The law read, “Area in this sense will vary depending on visibility, weaponry, natural or man-made barriers, vegetation, terrain and distance.” Thus, the interpretation of the law was often left up to conservation officers in the field. The new law isn’t entirely black and white, either. Contradictory interpretations of the law exist, even among the powers that be. For instance, in a statement made to the Alabama Media Group on March 18, 2013, Wildlife and Freshwater Fisheries Director Chuck Sykes had this to say, “Certainly you should not be within sight … of any well-defined trail or pathway to the feed.” In the same article, Conservation Commissioner N. Gunter Guy Jr. stated that hunters “can shoot deer as they walk trails leading to established feeding stations.” So, according to these two officials, hunters both can and cannot shoot deer on their way to feeding stations. Sounds like they need to get their bucks in a row. For all you hunters out there, we hope that this new regulation means an abundant and healthy harvest of deer this season. Just be sure to read before you feed! If not, you may open yourself up to the possibility of a hefty fine, or a trip to the county jail. You can familiarize yourself with the ins and outs of the law on page thirty of the 2013-2014 Alabama Hunting and Fishing Digest. If you have any doubt as to whether or not you’re in violation after you’ve familiarized yourself with the law, it’s always best to err on the side of caution. Happy hunting!